The Great Commission is accomplished when we all work as partners in the mission of God by praying, giving and going. Such partnerships are thriving in much of Africa. This will also be the year to partner with the national church in the northeastern corner of the Democratic Republic of Congo. Partnerships are in place in to build a Bible school to prepare church planters. The lot has been purchased, and workers are getting the property ready for the foundation. In neighboring Equatorial Guinea, 2018 ended with honoring God for what He has done in the 30 years since the Assemblies of God was established there, celebrating His current blessings and looking toward the future for guidance and direction. While there is still much to be done, there are also many wonderful things to report in Equatorial Guinea. 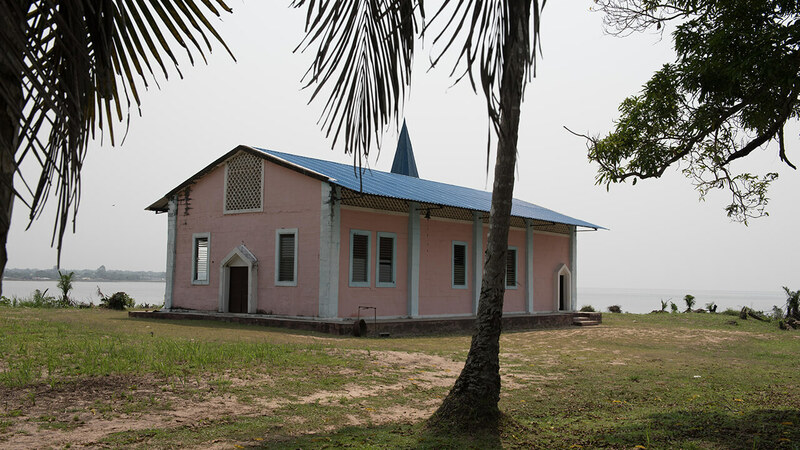 The Malabo campus of the Equatorial Guinea Bible School was completed by the November 2018 goal. The last windows and the final painting were done just days before the dedication service on Sunday, Nov. 18. The celebration continued later in the day with a commencement ceremony for the graduates. Believers gathered to commemorate the past, rejoice in the present, and prepare for the future. Thousands of people have done their part in fulfilling the Great Commission by partnering with us in praying, giving and going. Light for the Lost, Boys and Girls Missionary Challenge, Speed the Light, and Women’s Ministries have all had an impact by providing Bibles, books, vehicles, funds, and other resources that enhanced ministry. Let Jesus be lifted up across Africa in 2019!